Please note - if you would like to check out availability of these cards on eBay, please use this link. Or you can clink on any link associated with the cards. There are some autograph cards that came before this, but this is the first Mays auto from a major company. 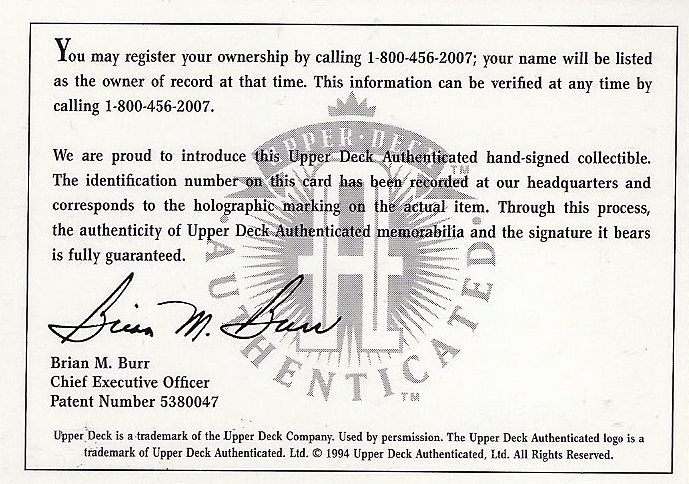 This Upper Deck autograph card came with a separated certificate of authentication card. 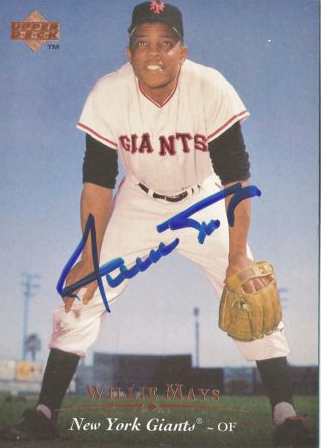 That card had a number that matched a sticker that was affixed to the back of the actual autograph card. 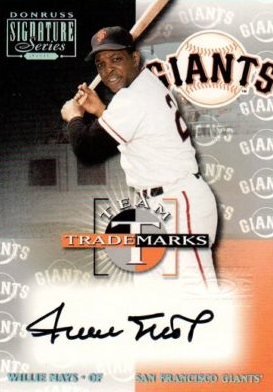 Of all the on-card certified autograph options, this tend to be the least expensive. This basic, good looking design is another on-card autograph. These cards are serial numbered to 197. These were signed in black ink. 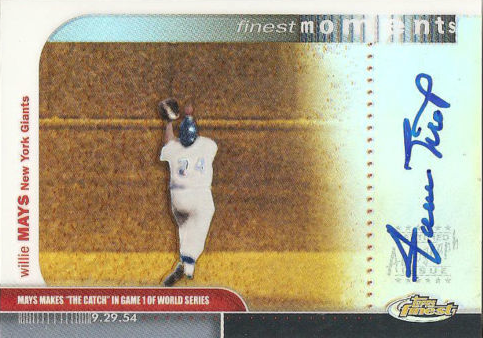 From 2005 to 2011, Mays's autograph cards were mostly confined to low numbered sticker autos. 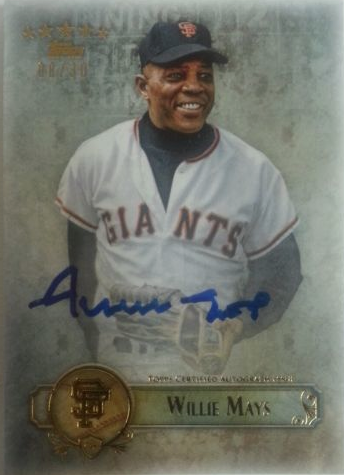 in 2012 Mays made his return to Topps appearing in everything from Allen and Ginter to Triple Threads. This card was one that could only be obtained through Topps' online promotion as a giveaway. This was a defining year for Five Star, a perfect mix of design and players. 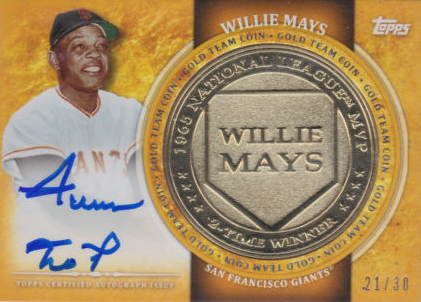 This particular Mays is one of the better ones we've seen when it comes to placement of signature. And that does it for this week's Hump Day Hits. Once again, if you would like to check out availability of these cards and more on eBay, please use this link. Make sure to check back with us for the next Hump Day Hits post.